City of Riders Headquarters is located near the corner of Junction and Main Streets in the heart of the Sturgis® Motorcycle Rally. City of Riders Headquarters is your stop for information about Rally events, for Rally memorabilia and other must-have items and for officially registering as a Rally visitor. Duck into this air conditioned building for a quiet haven from the excitement and hubbub of Main Street. 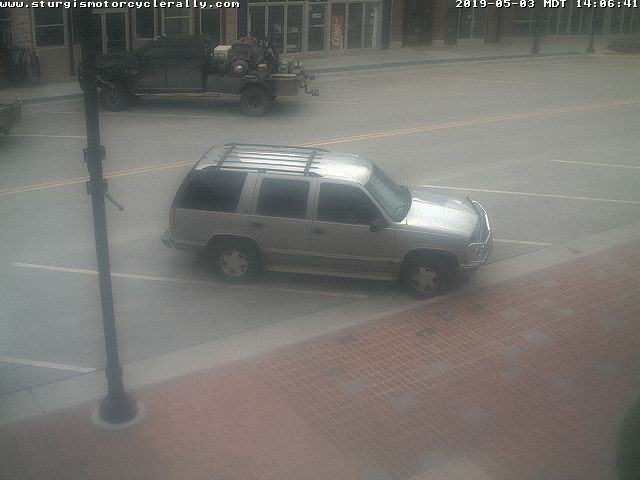 But, check out the webcam at City of Riders Headquarters to see what's happening outside City of Riders Headquarters, day or night. Images update every 30 seconds and will automatically refresh every 30 seconds.